Where do you get the best crab cakes? Ask one hundred different people and you'll likely get one hundred different answers. Some swear by classic Chesapeake Bay crab cakes, and some by spicy Creole crab cakes, while others maintain that Pacific Northwest crab cakes can't be beat. In I Love Crab Cakes!, award-winning chef and cookbook author Tom Douglas brings the best of East, West, and Gulf coasts to the table and proves that the most delicious crab cakes of all come straight from your home kitchen. Tom thoroughly examines every thorny, crab cake–related issue. Bread crumbs, cracker crumbs, panko, or no crumbs at all? What kind of crabmeat: Dungeness, king, or Peeky Toe? Are the best crab cakes pan-fried, deep-fried, or not even cooked? Tom offers up dozens of his famous crab cake recipes, including classic crab cakes from East and West, North and South, plus newer innovations such as Wild Ginger Crab Cakes, Pesto Risotto Crab Cakes, and Crab Louie Cheesecakes. There are crab cake sandwiches, breakfast crab cakes, and crab cake sauces and salsas. Tom Douglas, winner of the 2012 James Beard Award for Outstanding Restaurateur, is the chef/owner of thirteen of Seattle's most popular restaurants as well as the Dahlia Bakery, home to the much-loved Triple Coconut Cream Pie. Shelley Lance has been cooking with Tom Douglas for more than twenty-five years, first as a line cook, then as a pastry chef, and later as the quality control chef for all of the Tom Douglas restaurants. 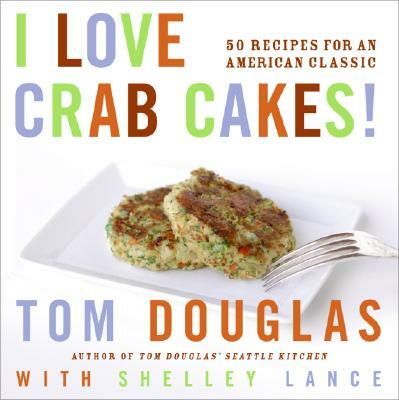 As Tom's chief recipe tester and taster, she also coauthored Tom Douglas' Seattle Kitchen, Tom's Big Dinner's, and I Love Crab Cakes.